Qonex has signed an agreement to use Rizikon, a cyber risk assessment tool developed by a team of cybersecurity researchers led by Professor David Stupples. 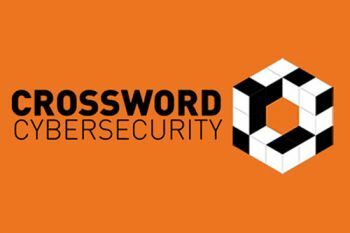 Cybersecurity consultancy, Qonex, has signed an agreement with Crossword Cybersecurity to use Rizikon, a cyber risk assessment tool which is based on research undertaken by Professor David Stupples and his team. Professor Stupples is a specialist in internet security, particularly organised cyber terrorism, with extensive experience in advising the UK Government, private enterprise and military administrations around the world. The partnership agreement between Qonex and Crossword Cybersecurity was signed on 11th July during the East Midlands Cyber Security Conference and Expo. Rizikon is Crossword’s first commercial product, building on four years of research and development at City. “Many SME bosses have neither the time nor the in-house expertise to stay on top of online threats, many of which can inflict substantial commercial and reputational damage to their businesses. We developed Rizikon as a tool for the real world. It doesn’t demand technical expertise or hours of form filling and it works in tandem with existing online protections to maximise their effectiveness. “Many approaches to cyber security attempt to stimulate companies into action by using fear, uncertainty and doubt. The use of Rizikon enables us to provide quantitative evidence, based on current threat intelligence, to support our actionable advice and guidance”. "We are delighted by the adoption of Rizikon by Qonex. It further strengthens the confidence of the SME community in our cyber risk analysis tool. Crossword Cybersecurity Plc is making great strides in making City's research valuable to the business community".